The main menu of the Kodi SiO2 skin sort of reminds of the Apple TV interface, with colorful icons and rounded edges on the shapes. This skin plugin Kodi SiO2 has a smooth response to pointing devices like for example a computer mouse. It's easy to guess that a remote such as the Lynec C120 air mouse could do wonders to let you point at icons and handle your HTPC experience. 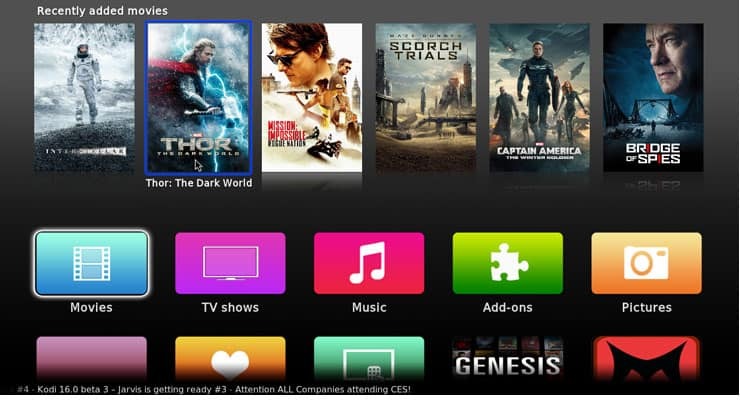 However, a wireless HTPC keyboard will also let you browse the home screen icons easily. 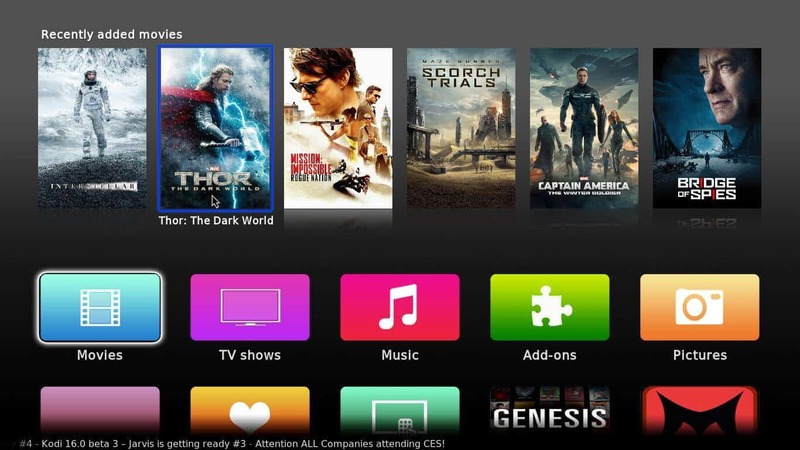 In a way these icons remind of the Apple TV interface, similar to the experience provided by the Kodi AppTV Skin. In contrast to that addon, though, SiO2 plugin feels smoother and more visually appealing. Transitions are well-paced and it's easy to change visualizations, though you won't be able to do it with your mouse, having to use the arrow keys instead. 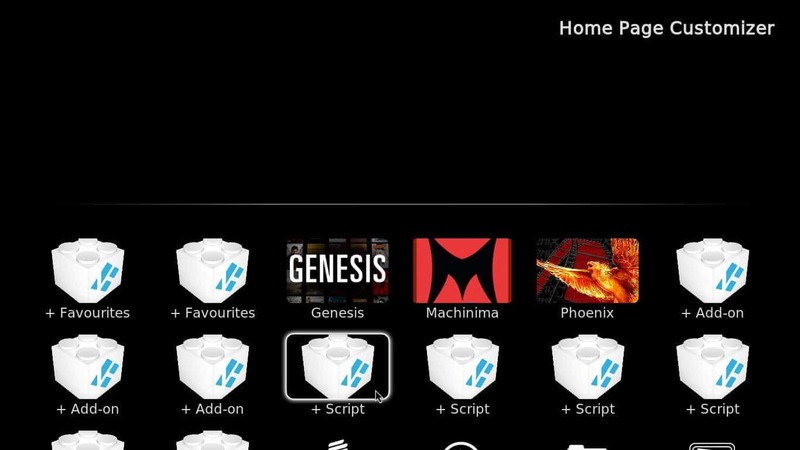 When customizing the Kodi SiO2 skin I found out that you can create shortcuts on your home screen for favorites, addons and even scripts. This is not the case with most skin plugins, where you can only choose among addons or favorites for your shortcuts, and scripts are a dark and difficult to access feature. 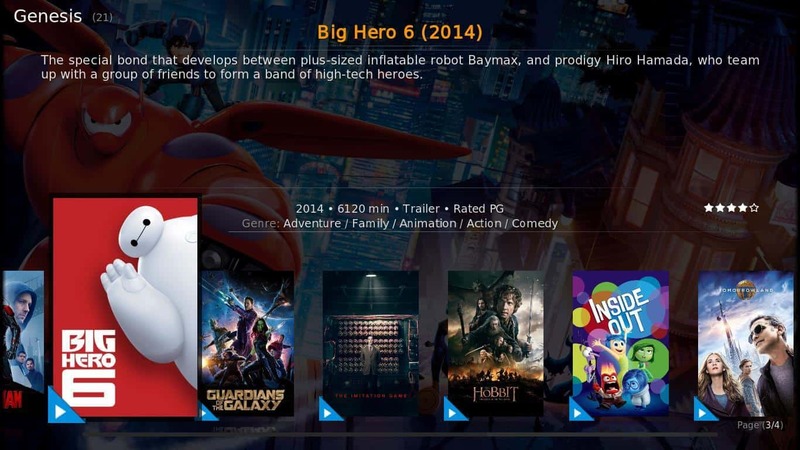 In this regard, the Kodi SiO2 skin could be the best Kodi Theme for personalization. Since the homescreen is scrollable by default, you might have space on it for lots and lots of icons, though overdoing it would defeat the purpose of making shortcuts (You would have to waste time scrolling). You can customize the main menu with addons, scripts or favorites. Below you can see some visualizations available when you use the Kodi SiO2 theme. The List visualization shows a kind of small cover image to the left and a list of media on the right. Not much information about the media is displayed. 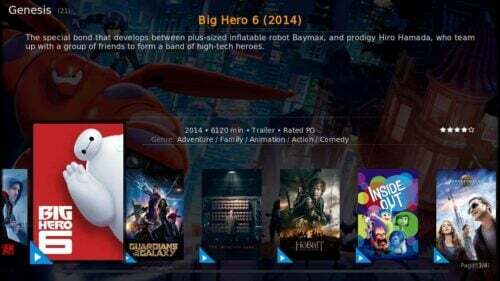 Big List brings more information about the media to your screen, although the cover looks smaller than in the List visualization. 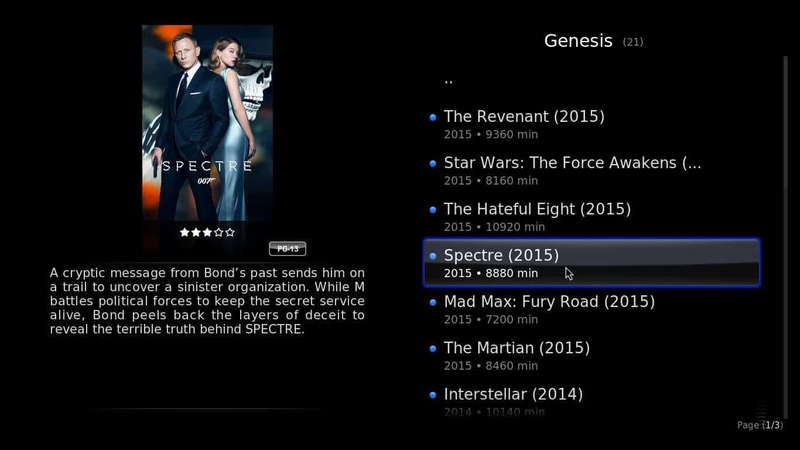 The Icons visualization is handy to browse several media at a time. 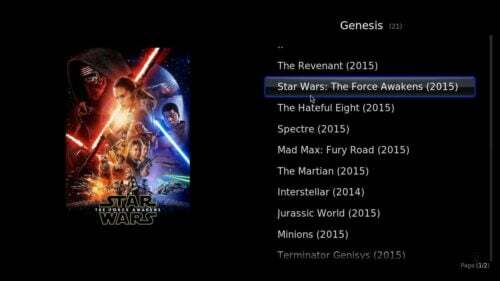 Useful to browse movie addons or large media libraries. The Fanart visualization looks gorgeous. Displays media covers, information and a fanart background. 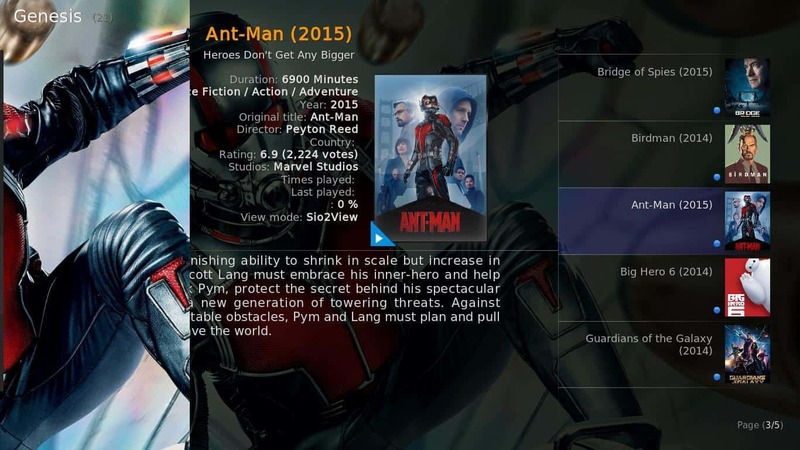 The SiO2 visualization is dynamic: on the left a huge fanart of the movie appears, and if you select it for a few seconds, it slides off the screen towards the left, displaying media information. 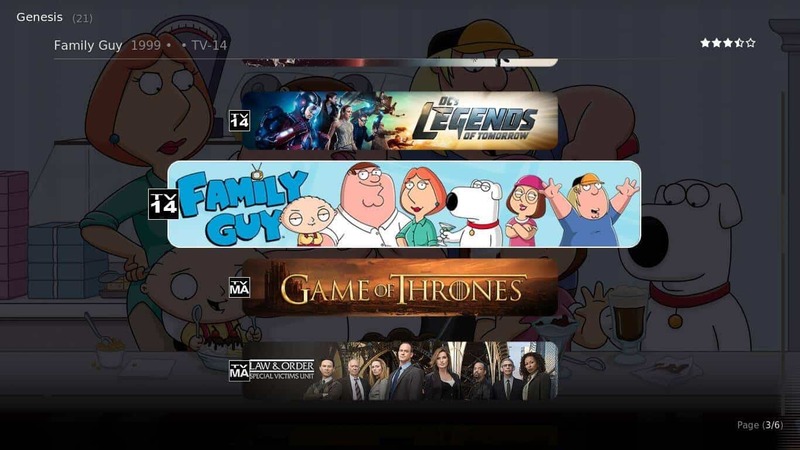 The Wide visualization is very well suited to browse TV shows, which are displayed as a neat banner as you browse the available shows. Do you recommend the Kodi SiO2 skin? The playback menu is kinda limited because of the lack of seeking bar and the non-strategic location of the menu items. The playback OSD is confusing to say the least, though I'm sure it becomes intuitive, given enough time of use. No fully functional seeking bar, and the OSD playback menu is hidden away below an arrow on the bottom right of the screen. Despite these shortcomings, the SiO2 plugin for Kodi is still a nice choice to consider if you want to minimize the time and number of clicks between your home screen and your favorite media or addons, while having your HTPC look nice at the same time. 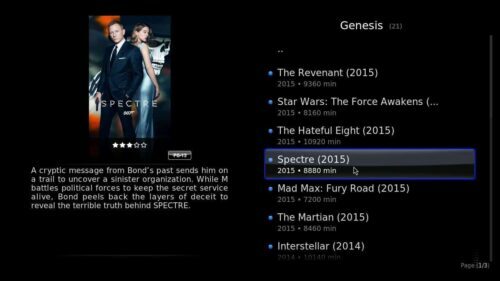 Browsing movies from the 10 best Kodi movies addons or TV shows from one of the 10 best live TV addons for Kodi is a visually enticing experience with the Kodi SiO2 skin, and since it's free, I would advise you to try it out today!